Clogged roof gutters are a nasty sight. That’s why your roof gutters should be kept clean all the time. However, whatever you do – you can’t avoid leaves, twigs and debris from getting into your roof gutters and clogging them. It then causes overflows and water collection at the base. Not only, this affects the foundation of your home but it also affects the environment. Clogged gutters can cause soil erosion and severe diseases. Clogged gutters are never good news. The ideal situation is to never have clogged gutters by cleaning your gutters regularly. But, if you don’t clean them or ignore any clogged gutters – it could be dangerous and can result in costly repairs. There is a possibility that the water overflows from your gutters and hit the ground forcefully. This flow of water ruins the flowerbeds and other plants near your home. Also, the damage is caused to small trees and shrubs nearby which can affect the environment directly. 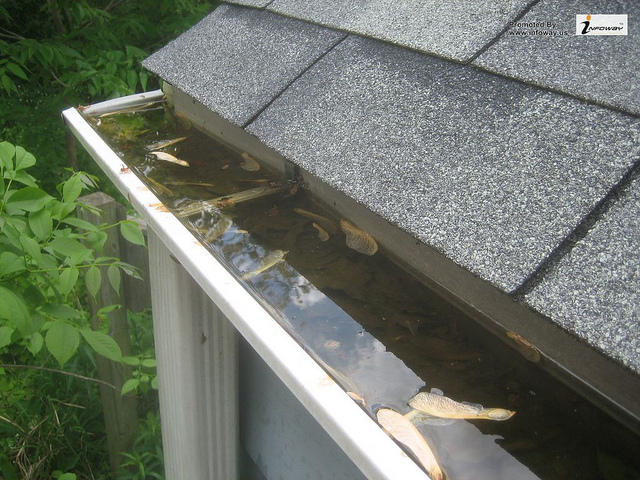 In order to prevent this, you have to keep your gutters unclogged and healthy using eco-friendly stainless-steel gutter guards. 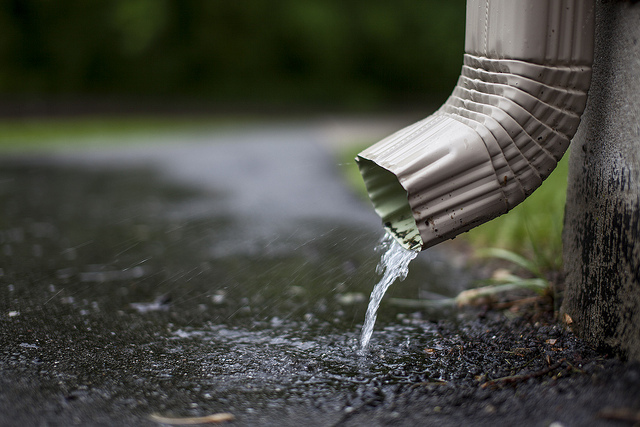 Overflowing water from your clogged gutters can seep into your home’s foundation. As a result, the foundation can become weak and unstable. Over time, the long-lasting existence of water in your foundation can cause cracks which might cause the foundation to collapse. Also, this accumulated water can cause severe health and other environmental issues. Water from clogged gutters can spill onto window frames, patios, doors and any other surfaces. These elements and surfaces are not built to absorb so much water. This might cause these elements to weaken and rot. 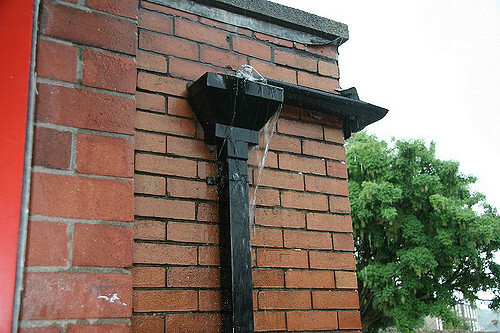 Your gutter and downspouts are the preventive mechanisms, so never allow them to block. Wood is one of the most commonly used building materials that holds the gutter system. Wood has the lowest CO2 emission and thus it is considered as the environment-friendly alternative to plastic and aluminium. These wooden fascia boards in your gutter system are the first to experience damage from accumulated water in your gutters. Once the wood fascia is rotten, the water then seeps through and starts damaging interiors of your home, including walls. Clogged gutters cause water to back up in your roof’s edge and other underlying materials. These materials can get damaged by constant contact with water. As a result, it causes your roof surface material to rot and become weak, causing issues like roof leakage which results in moisture build-up. These can have an adverse effect on your health and the environment. What’s The Solution For Clogged Gutters? Regular gutter cleaning – that’s the best way to avoid any clogged gutters and maintain a clean environment around your home. You can reduce various environmental impacts related to contamination of water, debris, soil and other pollutants that are released from your roof gutter into the ground. However, DIY gutter repairs and cleaning shouldn’t be an option. It is dangerous as well as time taking to clean roof gutters yourself. Infact, according to Safe Work Australia, on an average 12% of workers died due to falling from a height between 2007-2016. You can call a professional for an effective and proper roof gutter cleaning for your home. Most roof gutter cleaners use eco-friendly cleaning products and are very conscious of the environment. If you get roof gutter cleaning done every 3-4 months, you will never have the problem of clogged gutters. Research online and find the best cleaning services to clean your clogged roof gutters. 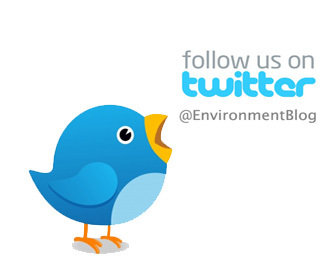 Never compromise on your health, safety and the environment.